At the end of 2016, the United Nations General Assembly approved a landmark resolution to launch negotiations in 2017 to form a global treaty banning nuclear weapons. 113 member states voted in favour of, 13 abstained and 35 voted against this resolution. Within the United Nations General Assembly, support for a treaty in 2016 was strongest among nations in Africa, Latin America and the Caribbean, regions where states don’t tend to have arsenals. The UK, however, along with other nuclear states not only voted against the resolution, but also boycotted the rounds of negotiations to form a treaty which took place last March and July. On 7th July, 122 UN member states voted for The Nuclear Ban Treaty. As the first legally binding international agreement to comprehensively prohibit nuclear weapons, it hopes to one day totally eliminate nuclear weapons. On 20th September, the Treaty opened up to signatories in New York, with 50 member states signing and a further 3 ratifying it on the first day. To enter into international law, 50 states must sign AND ratify it. In the UK, we now need to put pressure on our decision-makers to start the process to bring the treaty into our law. Parliamentarians can now lead the way by signing the pledge to work for the UK to sign and ratify this vital treaty. You can find the pledge and where parliamentarians can sign it here. 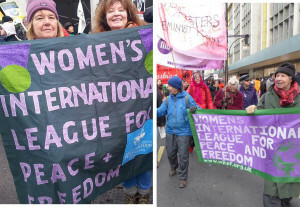 Through WILPF‘s membership in the Nobel Peace Prize-winning International Campaign to Abolish Nuclear Weapons (ICAN), we will also engage in advocacy and mobilisation opportunities at local, national, and global levels alongside the development and sharing of helpful new resources. 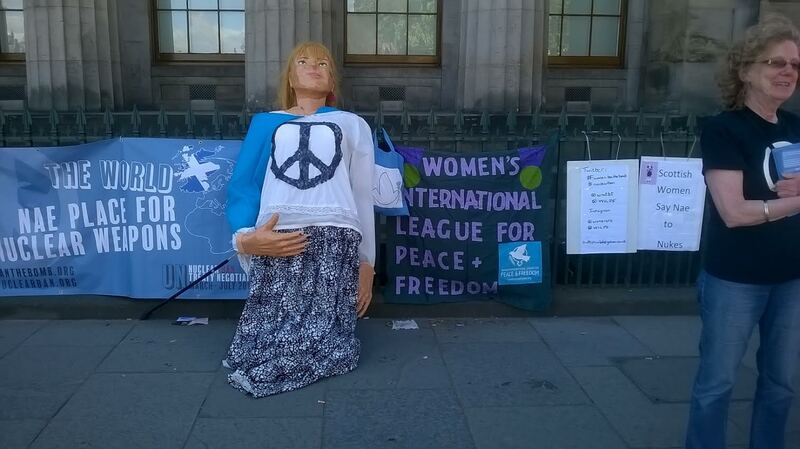 You can sign up to CND’s campaign magazine to get more information on this here. 09/ 02/ 2018 Has your MP signed ICAN’s pledge? 21/09/2017 UK WILPF member and Director, Acronym Institute for Disarmament Diplomacy Dr Rebecca Johnson writes in Open Democracy.